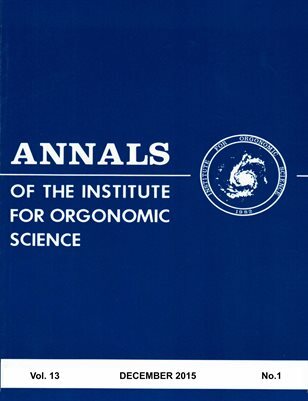 This issue of the Annals of the Institute for Orgonomic Science features articles on Wilhelm Reich's historical antecedents, and applications of Reich's work in childbirth, infant and child care, juvenile justice reform and art education. Another article describes experimental studies of physical effects of the orgone accumulator. This issue also includes a review of James E. Strick's book, "Wilhelm Reich, Biologist."